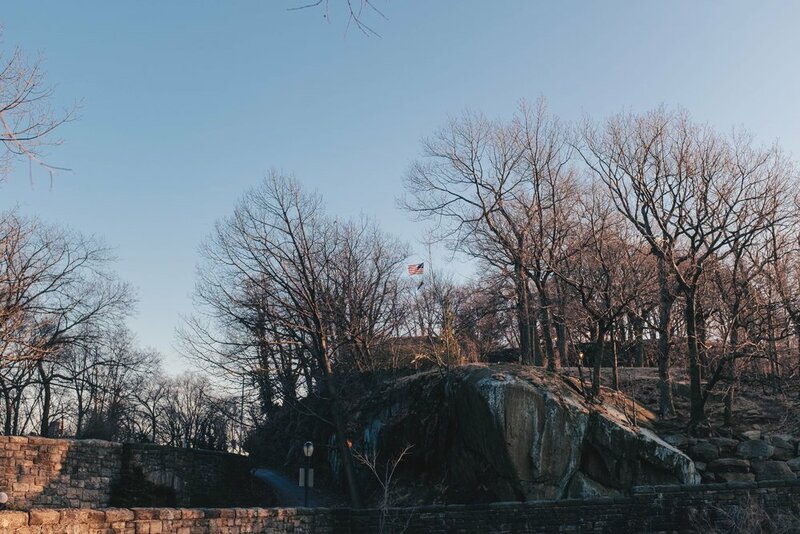 This article is the second in a 3-part series on how New York's iconic buildings have been influenced by (and in some cases become an influencing factor itself) the broad political, cultural and social forces of the time period they found themselves in. To this end, we'll be looking at the profound forces that characterised the Roaring Twenties, the 1960s and the turn of the Millennium. Due to the economic maelstrom brought about by the Great Depression and subsequent horrors of World War 2, the bold architectural ventures that characterised the preceding decades took a backseat, especially in the face of more pressing national priorities. In the 1950s, the overriding focus for the nation lay with restructuring the wartime economy to one that was more focused on consumers. When this transition was completed by the 1960s, many architects were already raring to go, having been inspired by the great leaps in human technology and ideology. This revival of interest in architecture was kickstarted by the 'International Style' exhibition at the Museum of Modern Art, which prefigured marvels like the much adored (and copied) Seagram Building. Throughout the 1960s, American corporations gradually rose to dominate their respective global industries by capitalising on the post war stimulus and the stability of the previous decade. As Midtown Manhattan shaped up to become the world's largest business district, companies began to construct namesake towers, most notably the MetLife Building (formerly Pan Am Building). Just like the Roaring Twenties, many of these new structures came to represent a newfound sense of optimism for the future. This was all in part a microcosm of society's aspirations, brought on by the cumulative innovations of the automobile, jet, and atomic ages of the 1960s. In this climate, structures like the Flushing Unisphere and the TWA Flight Center rose to meet the aforementioned societal yearning for progress head-on. Though many people think of the polarising counterculture movements of the 60s whenever the decade comes up in conversation, it's worth celebrating the buildings that rose up during this period of profound change. The crystallisation of 'modernism' came to a head with construction of the Seagram Building which was informed by the principles of International Style (embracing the utilitarian materials and design of the modern age). 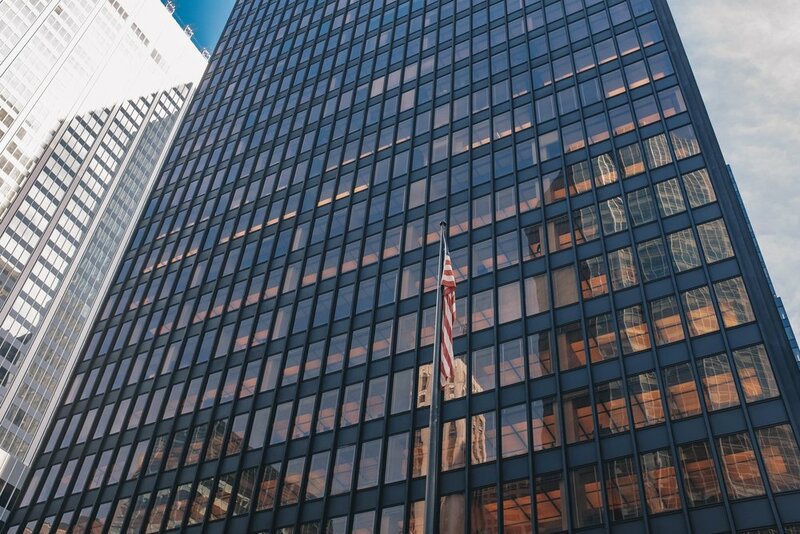 Designed by the architect Mies van der Rohe, one of the fathers of the International Style, the Seagram Building inspired much of corporate America and resulted in the creation of many sleek skyscrapers. However, why would architecture, with its love for eye-catching facades and towers, suddenly embrace such 'uniform and mundane' design principles? The answer to this resists simplicity. As the world emerged from the horrors of two World Wars, the ornate designs that were intrinsically part of architecture at the time started to clutter the minds of young architects. They saw these influences as overwhelming, unable to complement each other, and, worst of all, psychologically linked to the trauma of the war. Corporations around the world that were looking to redefine their businesses in the wake of the war also paused to reassess the notions of true 'modernity'. Unsurprisingly, these exercises resulted in the vaunting of ideas like efficiency and speed. In this new age of corporate efficiency, anything that was considered time consuming or overly intricate was deemed to be incompatible with modern utilitarianism and were hence repudiated. As these corporations were the main drivers of new projects in America, they quickly began to select for architects who were more sympathetic to their needs, thereby resulting in a gradual shift towards a more functionalist approach to architecture. With this, movements like modernism, the Bauhaus school, and the International Style gained popularity. Though the Seagram may seem mundane at first glance, its use of high-quality materials like bronze and marble were part of an effort to imbue the building with timeless elegance. Despite the use of a concrete and steel frame characteristic of the early International Style, the use of bronze tinted steel beams and a glass curtain wall resulted in a seductive, new style that was quickly imitated all over the world. Whilst keeping to his Brutalist roots, Mies was able to elevate its principles to create what is now considered as one of New York City's architectural masterpieces. Its simple appearance, however, belies the immense attention to detail that Mies took in designing the building. For example, Mies mandated that the window blinds that were to be installed could only have three positions - 'fully open', 'half-open/close' and 'fully closed' in order to instil as a sense of regularity through the building's facade. To this end, though office workers were free to adjust their blinds whenever they liked, they would do so with an uncanny level of coordination because they all individually responded to the morning sun in the same way. While many other architects tried to copy the simple elegance of the Seagram, many overlooked and failed to replicate its well thought out design concepts. Another landmark idea of the time (and pioneered by the Seagram) lies with the popularity of open public spaces. Instead of copying the grand lobbies of Art Deco and Beaux Arts buildings, modernist architects instead chose to play up the openness of a building's ground floor and even mandated that the atrium and spaces surrounding the building were to be kept clear. These were all efforts at establishing a culture of openness and communication whilst subtly imbuing a sense of grandeur through having something as simple as a wide open space. Consequently, while the base aspiration of wanting to represent modernity through architecture remained the same throughout the early 20th Century, the utilitarian values of speed and efficiency supplanted tendencies to design ornate structures that were replete with art and sculptures. To this end, the rapidly growing corporate interests of the US did in some way partly inspire the creation of the International Style. Underscoring these cultural developments were also the development of new construction techniques involving materials like reinforced concrete, glass and steel. Pan American World Airways was the first truly global airline, connecting the growing American superpower to destinations across the globe through its state of the art jets and legendary on board service. Indeed, the airline came to embody the very spirit of being American. At its peak, there was nothing the airline couldn't boast of — a modern fleet, experienced cabin crew, acclaimed on-board dining, and many other industry leading products. Pan Am operated with a level of polish that few carriers in the US (or even the world) could even aspire to. It was perhaps fitting that the airline, in its heady optimism for the future, commissioned the construction of a namesake building in the centre of Midtown Manhattan. At its completion, the building was the largest commercial office space in the world in the largest business district in the world. The Pan Am Building dwarfed its surroundings (despite being amongst some of the world's tallest skyscrapers) and looked as if it rose up from the foundations of the Grand Central Terminal. The building also occupied a unique plot of land along Park Ave, and would become an iconic fixture in the city as it blocked the formerly clear line of sight along Park Ave. This is something unheard of in grid obsessed New York City. The property value (and rents) of the office space in the tower matched the massive edifice it was housed in. Its location just next to Grand Central made it convenient to commute to as workers shuttled into the heart of the city from neighbouring townships in the Tri-State area. While the 1920s saw a growing rural-urban migration that brought more people into the city, the white flight of the 60s reversed this trend as wealthy middle-class Americans began to seek calmer pastures away from the city. It was hence important to have the building just adjacent to one of the city's most important transport nodes, a stunning concert of modernity and mobility on a level of scale equal to the interesting (though controversial) juxtaposition of the Beaux Arts terminal and the Brutalist tower. 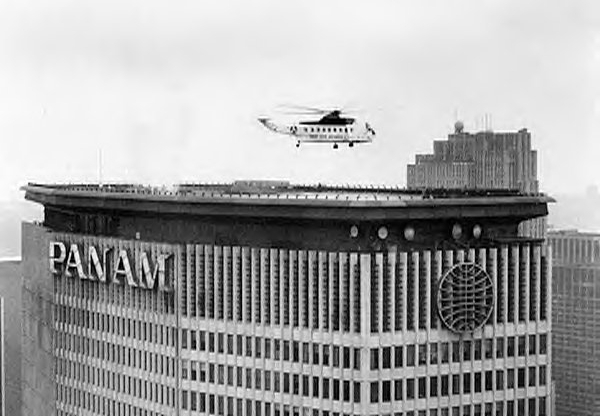 And in case this wasn't iconic enough, the building itself was incredibly forward looking by virtue of having a helipad located on its roof. Throughout its initial years, many high flying executives would commute to and from the building (and the heart of the city) to Teterboro Airport or JFK via a helicopter service. Few could have ever conceived of any company better able at embodying the cosmopolitan allure of flight - no doubt yet another badge of confidence in the airline. But that's where the glamour ended. 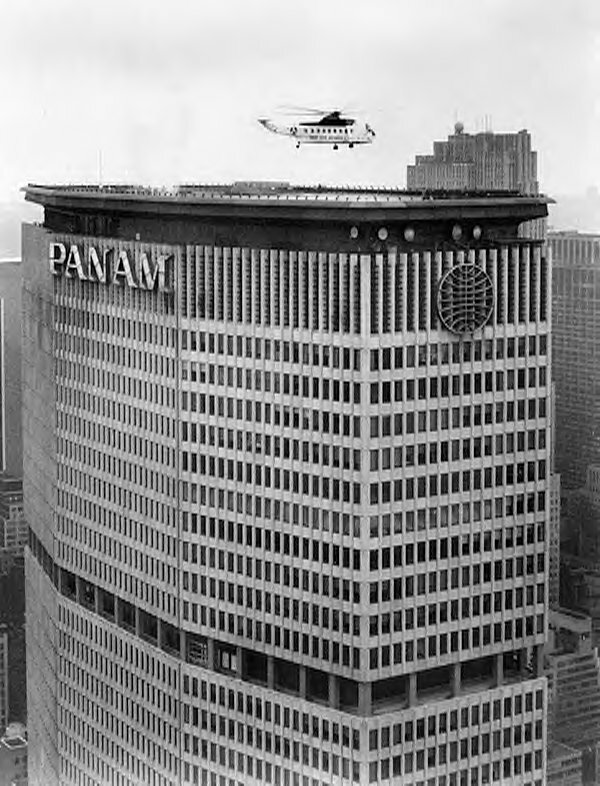 After a great run of 20 years, the Pan Am Building — perhaps due to its high property value — became earmarked for sale as the airline started to face severe financial difficulties in the early 1980s. Indeed, the building itself was unable to shield the airline from the headwinds that came to buffet its operations especially as the 1973 Oil Crisis and the Lockerbie bombings forced the airline into a period of restructuring. By 1981, it was time to sell its tower to the building's other dominant tenant - the Metropolitan Life Insurance Company. It was only a few years later that the airline, unable to reconcile its heavy capital investments with falling passenger yields, declared bankruptcy and ceased operations — swept away into irrelevance by a turbulent industry. In years past, human technology and innovation were celebrated with exceedingly grand affairs instead of being held in a stuffy convention centre. In those days, exhibitions were termed 'World Fair(s)' as opposed to the current 'Expo' terminology that we're acquainted with. Similarly, whilst these old fairs celebrated the essence of progress across all realms of innovation, Expos nowadays are overwhelmingly focused on singular issues. And while concerns like environmental sustainability are not to be taken lightly, it is clear that the grandeur of these events have been toned down from their more euphoric predecessors. In an age where profitability trumps prestige, Expos have had their influence on a steep decline. Yet, that's not to say that the 20th century fairs were mere parties of excess — exhibits were still important displays of success. The ability to inspire whole generations of scientists, architects and change-makers also cannot be understated. 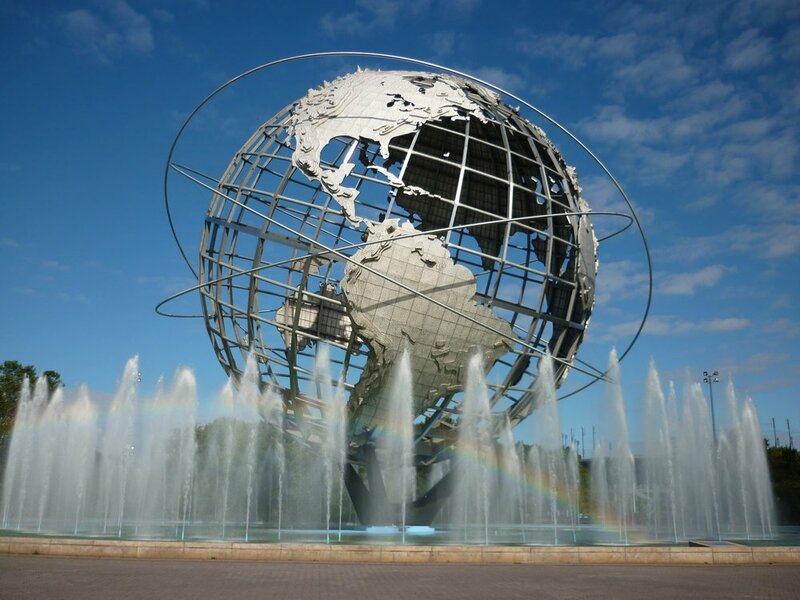 With that, many would consider the 1964 New York World's Fair to be one of the grandest displays of human achievement. Its full run spanned an extended period of 2 years and attracted exhibitors from across the globe, and was built primarily to proudly showcase America's achievements in the realms of culture and technological innovation. Thus, the heart of the fair attempted to venerate the achievements of a nascent Space Age which the US was at the forefront of and the rest of the world aspired towards. Practically, the fair also served as a life sized advertising haven for American corporations looking to woo foreign markets. Fair organisers spared little expense to create awe-inspiring space . At the center of the exhibition lay the Unisphere (built to replace the less impressive Perisphere from the 1939 NYC fair), a massive representation of a globe surrounded by three orbit rings purportedly representing the flight paths of Yuri Gagarin, John Glen, and Telstar. If anything could have represented President Kennedy's 'We choose to go to the Moon' speech best, the World's Fair of 1964 was it. The other satellite exhibitions were heavily influenced by Googie architecture, an ambitious architectural interpretation of the future. Just like the 1964 Fair, Googie architects were influenced by the rise of the automobile and the start of the jet age, amongst other pioneering technologies in space discovery and atomic energy. To anyone visiting the World's Fair, New York City was made to look like the boom town of the world. General Motor's Futurama exhibit would come to influence and inspire the creation of a nationwide highway network capable of connecting the country's disparate metropolises. IBM would instil a fascination with computer technology amongst visitors just as other foreign exhibitors brought a slice of their rich cultures to the fair grounds. Yet, the revolutionary atmosphere of the fair didn't end with its closure. At present, the old grounds of the 1964 fair is now a veritable public space in the borough of Queens, one that is equipped with its own science museum. The park now also houses Citifield, the home of the New York Mets and the Queens Museum of Art, Theatre and Zoo. The recognition brought about by the fair also undoubtedly put Queens 'on the map', contributing to the growth of Flushing Downtown and Main Street as a nexus of diversity. In many ways, the fair was one of the city's last big hurrahs before it entered an age of unprecedented strife. In the end, although buildings that made up the fair were relocated to locations across the country, they remained a symbol of the fair's expectations for the future (and a dissemination of culture and technology) no matter where they ended up. Few buildings in New York could be more a 'product of their time' than the TWA Flight Center at New York's JFK International Airport. By utilising futurist and Googie architectural principles, head architect Eero Saarinen distilled the excitement of air travel into the terminal's wide open spaces and high ceilings. At its height, the TWA Center perfectly encapsulated a sense of infinite freedom and exploration which were the same feelings that were brought about by the rapidly approaching jet age. It was also way ahead of its time, and undoubtedly overshadowed the many other aging terminals of JFK. Yet, while the building was considered as an abstract interpretation of air travel, the actual people utilising the terminal were never unsettled. Indeed, it was the culmination of TWA's goal of inspiring awe in first time flyers whilst still fascinating those already acquainted with it. That being said, though the terminal was far ahead of its time from an aesthetic perspective, it soon found itself obsolete from an operational viewpoint. While Saarinen's design encapsulated the glamour and futuristic hopes of the jet age, its design failed to take into account the growing popularity of wide-body jets that were rapidly coming to market at the same time the terminal opened. It did, however, pioneer the many technologies we take for granted today, from automated baggage carousels, covered jet bridges, electronic flight information display boards to the decentralisation of gates away from the main terminal building. The building's design also included two concrete tubes connecting the now functional JFK T5 with the original Saarinen head-house. Those acquainted with the original terminal would know that these concrete tubes (now sealed off) house a beautiful red carpet walkway, whose magnificence was aptly captured by the 2002 biopic, Catch Me If You Can. However, like the aspirational and grand ideals of Pan Am, TWA was similarly unable to manage the economic pressures brought about by a new age of airline deregulation. In the end, Chapter 11 bankruptcy forced the closure of the airline's transatlantic hub in JFK and, consequently, Saarinen's centerpiece itself. The terminal spent the next few decades changing hands before finally being managed by budget upstart jetBlue as part of the JFK's Terminal 5. The iconic Saarinen head house however, has not been in use since its closure in 2001. To those who wax lyrical about the beauty of the TWA Terminal, don't fret. At present, the headhouse is currently being converted into an airport hotel that is slated to be completed by 2019. 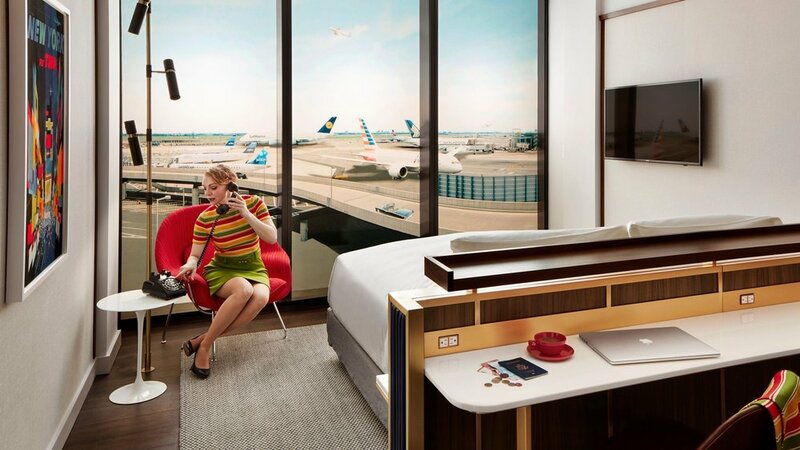 Amongst its 505 guest rooms, which have been tastefully designed to reflect the heritage of the building, many of the old 'amenities' of the terminal like its lounges and restaurants will be preserved and integrated into the new complex. Visitors to the airport can catch a glimpse of the iconic building from jetBlue's T5 or as the airport's AirTrain glides past the terminal. As the years wore on, the wholesale copying and proliferation of modernist designs started to take its toll on more inquisitive minds. Many younger architects saw this age of restraint with its turn to utilitarian principles as an age of creative decay. They argued that the formulaic methodology of the period meant that cities were losing their distinct character. As urban dwellers grew up in these new 'uniform' metropolises, a love for urban living gradually declined especially as buildings all started to look the same. To this end, architects embraced the counterculture of the 60s and started to break out of the mold, and experiment with bold mixed-material designs. The result of this experimentation was the postmodernist movement. As the jet age started to revolutionise the way people worked, architects were also now able to engage in foreign projects which in turn led to them become inspired by local aesthetic influences. Though it would take a while for these bold ideas to bear fruit, many of the newer buildings in cities today are a mix of modernist and postmodernist architecture. If you're ever in New York City, don't forget to keep an eye out for this vibrant mix of styles - it won't take long till you spot a few. Love what you're reading? Follow us on Facebook to keep up with all of our articles on architecture and all things travel!